WordPress is one of the most popular efficient blogging platforms in the world, and the best part is, you can use it right out of the box. But at some point, it can slow down. When this happens, you’ll notice the page load times start to slow and the average page takes more than a few seconds to load. This can be a problem. It may affect the users experience and the website’s search engine ranking. Poorly designed code, even when it is a WordPress theme, can slow the website load time. If you customize a theme, make sure you use CSS, and if you use a pre-existing template check to see if it is designed with clean and efficient code. While plug-ins are extremely useful, too much of a good thing can be bad. Update plug-ins as needed. WordPress plugin optimization should be a constant check for a WordPress designer. Eliminate those that the website is not using. Install a login limiter plug-in to prevent any possible brute force attack, as these can also slow your bandwidth, even if the malware bots don’t access your site. Remember, the more plug-ins you install, the slower the WordPress site will get. A WordPress website will also load slowly when there is a large amount of content on it. To prevent these slowdowns you should install a W3 cache solution. A W3 cache keeps all your pages as static HTML files, which take up less space but can be accessed quickly by users. This also reduces the work for the MySQL and the PHP recompilation. Besides, a W3 total cache or the WP-Super-Cache reduces CPU and memory usage for the website and increases load speeds by as much as 50%. Naturally, the homepage of the website is likely to get the highest amount of traffic, so you’ll need to compensate for this traffic by keeping it nice and clean. You don’t want to overload the home page with too many posts. Keep the number of posts on this page from between 8 to 10. Any WordPress SEO services specialist knows that image and media size affects the load time for the website. The sizes of your images and media will also significantly influence your page load time. Large image sizes will significantly s and low your website load time, even to a point of your assuming it is being victimized by a brute force attack. Keep streaming media, large image sizes and heavy advertisements to a minimum. Try to keep images smaller than 500 to 600 pixels. The web host cPanel uses two types of handlers to process the PHP controllers: SUPHP and DSO. WordPress uses SUPHP by default. This is a very secure controller, but can cause WordPress sites to slow down especially if they get a lot of traffic. In contrast, Dynamic Shared Object (DSO) offers a faster handling of pages, but runs under a ‘nobody’ user, which means you will need to make permission amendments to the WordPress files and directories to make it run correctly. Users who experience large amounts of traffic often find it beneficial to switch to DSO. 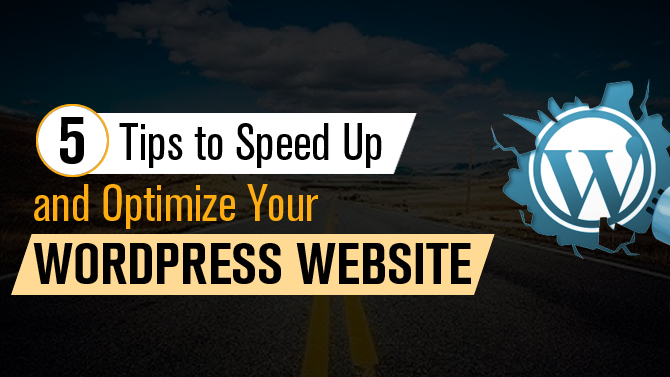 WordPress works well when first installed, but once you add images and content and when you handle a lot of traffic the site may experience slowdowns. At this point, if you are an inexperienced web designer you may want to hire a specialized WordPress designer to tweak your site and get it to run faster. Why WordPress is An Ideal Platform for Startups ! !